These pictures were taken by Brad Crough from inside his house in Peterborough's West End. 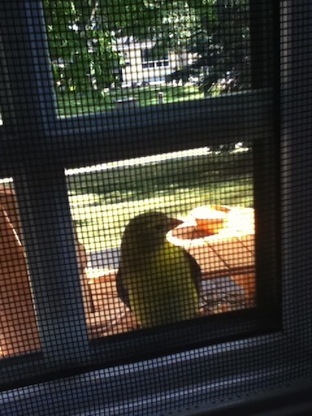 "This bird has been trying to get inside all day," he tweets. 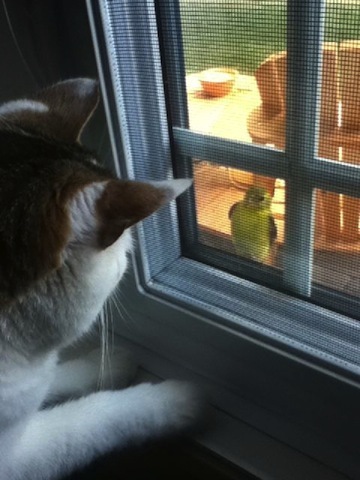 And Brad's cat obviously wants the bird inside as well. Not a good idea.